Interior of Mission Room. Sgt Cutts on right (in bow tie). Photograph courtesy of V. Hopkinson. 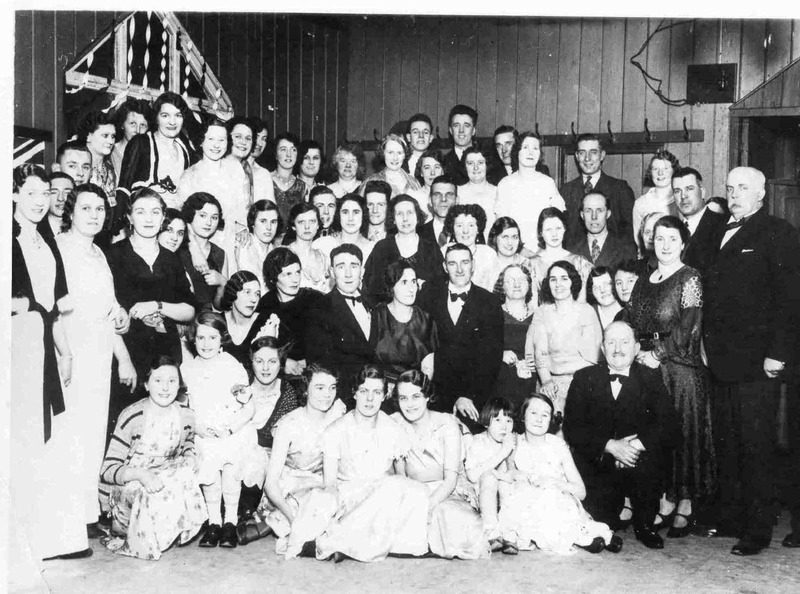 The lady at the end of the row top right is my grandma Mildred Wallace (nee Burdett ) and her twin sister Grace is on the 2nd row 5th from the end wearing glasses.